The Star of Life reminds us that we come from the stars. The word Merkaba is Hebrew for chariot. As mankind studied the stars they observed a stationary star in the Northern Hemisphere that all other stars rotated around. This star became known as the Pole Star or North Star. It represents the True North that helped humans create time, compasses and geometry. Polaris, our current Pole Star, will come the closest to the center point of our actual North Pole in 2100. After that Polaris will slowly begin to move away as another Pole Star will take its place. Pole Stars change over a period of 26,000 years (a Platonic Year.) This is caused by the earth’s rotational wobble known as the precession of the equinoxes. Draco, the dragon, inspired many mythological stories before Polaris took hold. Message: The stars remind us to connect to our true north, our inner compass that guides us. Listen to yourself right now in making decisions. Take some time to star gaze and learn of the stories held in the constellations that intrigue you. Enjoy sensing where your star lineage began. The unknown will become known when you least expect it. The crown chakra is located at the top of the head and is connected to our belief system. This is the place of spiritual connection beyond the self. It represents the upper world and the archetype of branches. 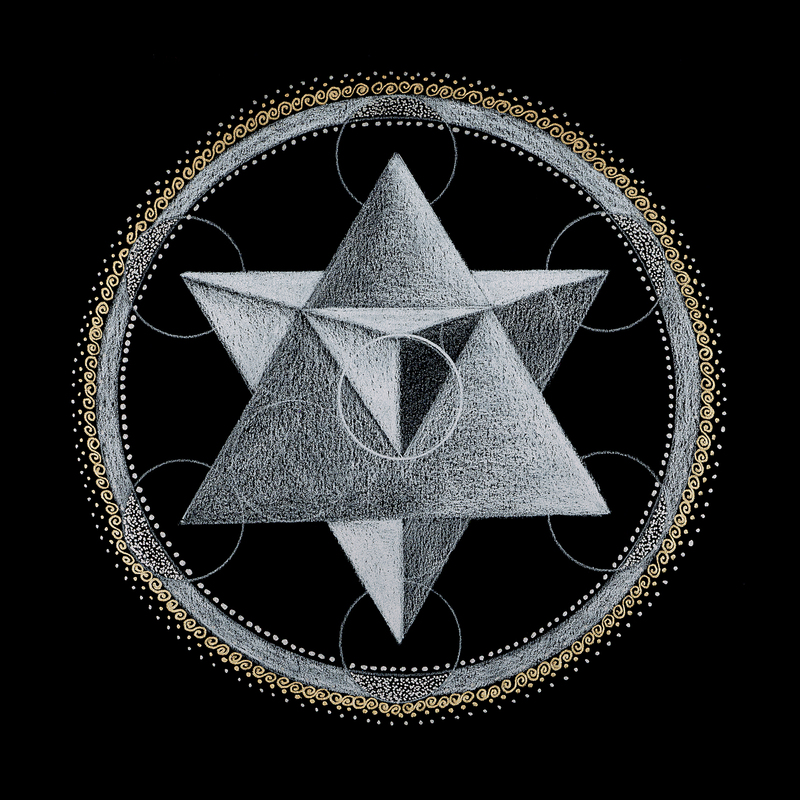 In sacred geometry, it is the Merkaba or star tetrahedron reminding us that we come from the stars and will return to the stars. Its element is light and its belief is represented by our dreams or night visions. The crown chakra serves as a connection to source that sees beyond the self to the infinite soul.